Best file opener is here now. You can even convert you RAR file to a Winzip file also. This is such a fast utility that just focuses on RAR file. Extract RAR files easily. 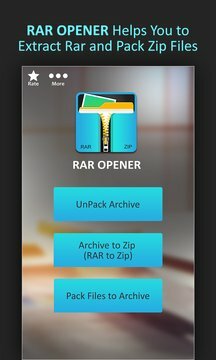 Fine-tuned for speed, RAR Opener works very fast without consuming a lot of memory. 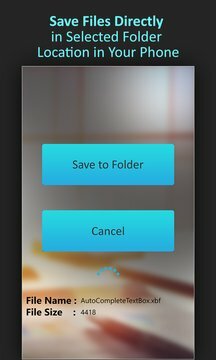 Expand your access and save time with this versatile app. Streamlined user interface.